Where would we be in life without our best friends? Best friends see us at our greatest and at our lowest moments in life. They are the most loyal and ride or die people anyone can have in their life. Having a true best friend in your life is something that should never be taken for granted and should be celebrated every chance we get. 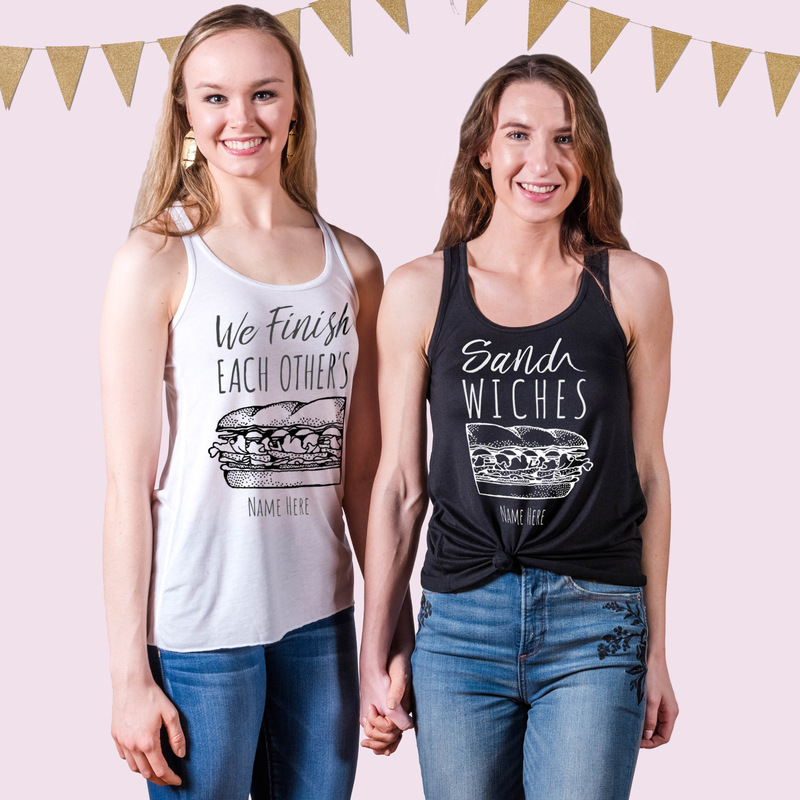 If you’re the friend who doesn’t give her bestie enough love then here’s your chance – design matching shirts for best friends day! Already have nicknames for each other? Customize any design in our gallery by simply clicking the “start customizing the design now” button. Keep it simple by only adding text and swapping fonts, colors, or the product or take it to the next step by adding one-of-a-kind best friend art. Customized Girl has the largest and greatest collection of matching best friend shirts that you will not find anywhere else. Best friends may be hard to find, but life just wouldn’t be the same without them. Today is the opportunity to celebrate that one special person in our lives who has always been there for us. 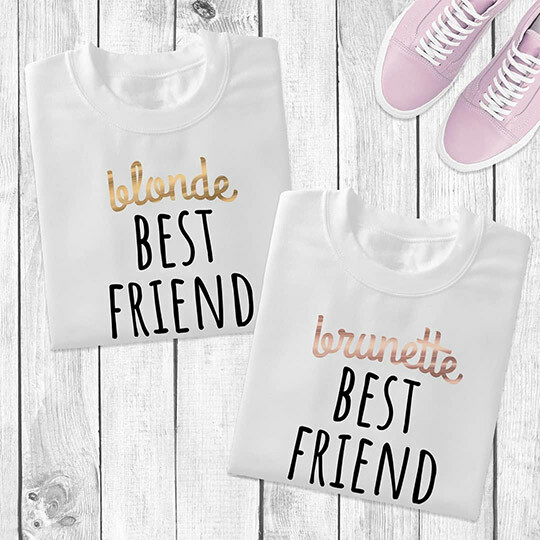 Show some serious love for your bestie with matching shirts for best friends day! We love seeing pictures of you and your bestie rocking your matching shirts for best friends day. Share your pictures with us on Facebook, Twitter, or Instagram @customizedgirl! Independence Day is a federal holiday in the United States that commemorates the adoption of the Declaration of Independence on July 4, 1776. This patriotic holiday is the best excuse to get together with friends and families to celebrate our freedom and independence. Most American’s partake in similar activities on this day like parades and fireworks but everyone has their own 4th of July traditions. 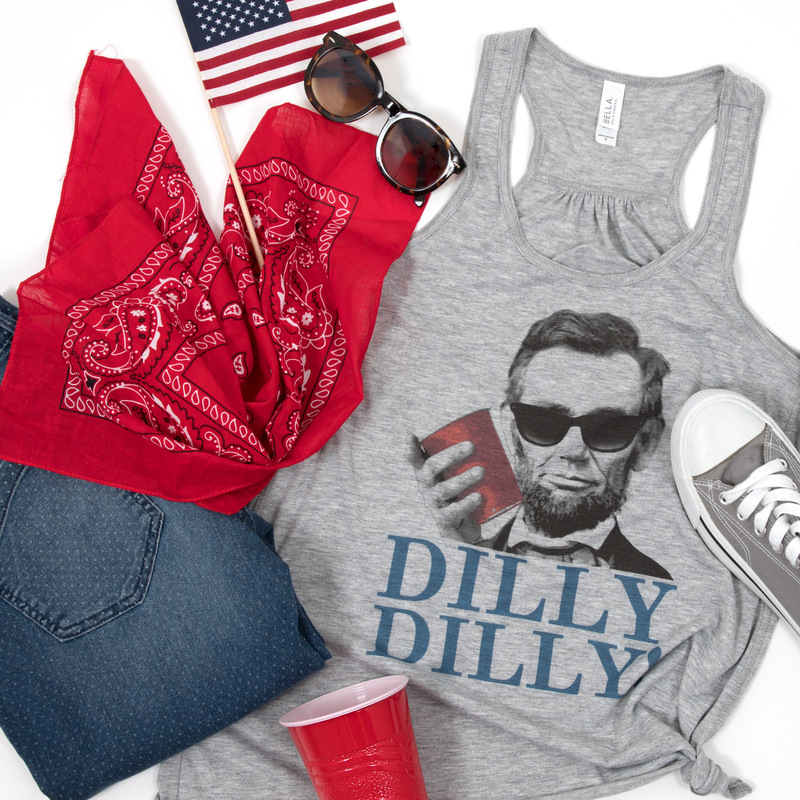 Grilling out by the pool or representing in the local parade – you’ll want to be wearing the best red, white, and blue apparel you can find. Why not exercise your rights this Independence Day with custom Custom 4th of July shirts! 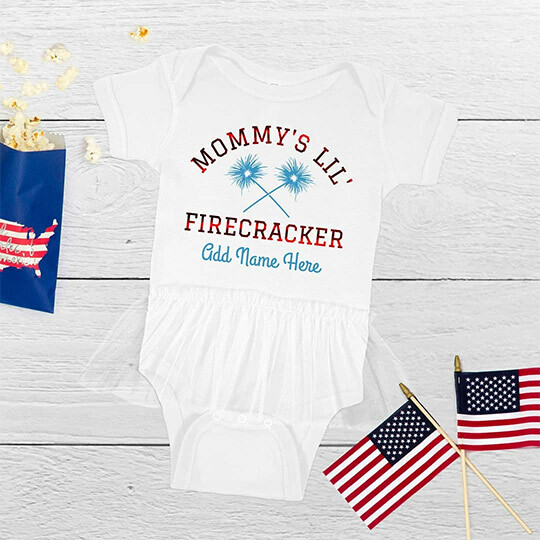 Customized Girl has a huge selection of 4th of July apparel for families to choose from. Crop tops, swimsuits, and even underwear – we’ve got you covered from your head to your toes. Take any design from our gallery and swap it onto the product of your choice. Customize an apron for grilling all those hamburgers and hot dogs or a custom swimsuit to lounge around the pool – Custom 4th of July apparel is the way to go. Custom shirts are perfect for large groups and special events like Independence Day. Go all out and create matching designs for your entire squad. Our hard to beat no minimums and generous group discounts give users the option to create hundreds of items or that one special design. What’s your favorite 4th of July saying or slogan? Celebrate your right to free speech with your own custom 4th of July shirts to say whatever you want! Birthday’s are always a big deal. It doesn’t matter if it’s the big 4-0 or your little one’s very first birthday – birthday’s are a milestone is each and everyone’s life where one can reflect back on all that they’ve accomplished and the amazing years that are ahead of them. 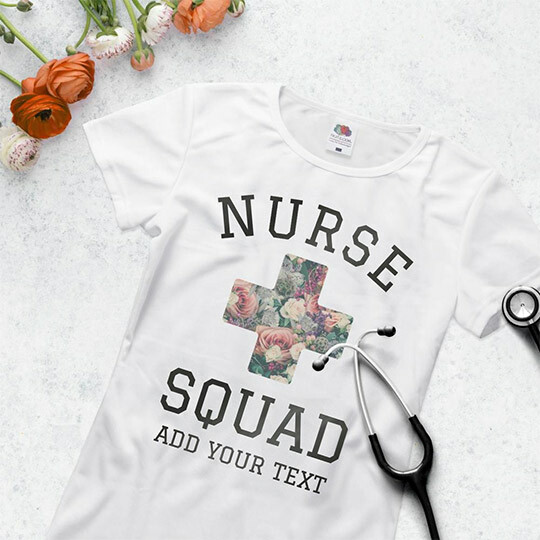 Customers regularly come to Customized Girl looking for custom birthday shirt ideas to make someone else’s birthday extra special. Dirty 30? 5 and fabulous? Birthday shirts are perfect for large groups or just the birthday boy or girl. Customized Girl has an abundant collection of birthday shirts for you to choose from. Whether your theme is classic or trendy, we’ve got you covered. Maybe it’s not a monumental birthday celebration and you don’t see the age you are looking for. Every design in our gallery can be customized. This means you can easily change the font, art, and text or even swap the item onto a different product. Think you have a funnier concept than any of our funny shirts? Start from scratch! With over a hundred products to choose from and thousands of pieces of clip art you can make your vision come to life. Don’t just stop with a shirt. Create matching accessories like koozies, sashes, or shot glasses for the birthday boy or girl. Or better yet, design matching hats for everyone to wear during the birthday festivities! Spring is the air which means a whole new season of spring sports is in full swing. Each and every year players and families gear up in custom sports apparel to wear on and off the field. 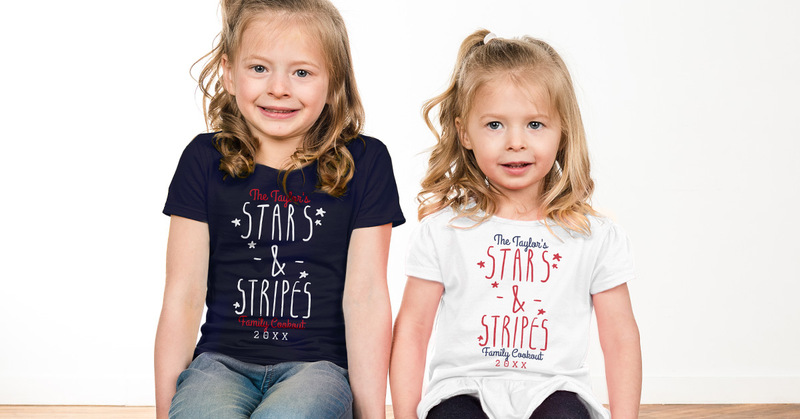 This year Customized Girl has added some amazing new custom apparel options for you and your entire family. 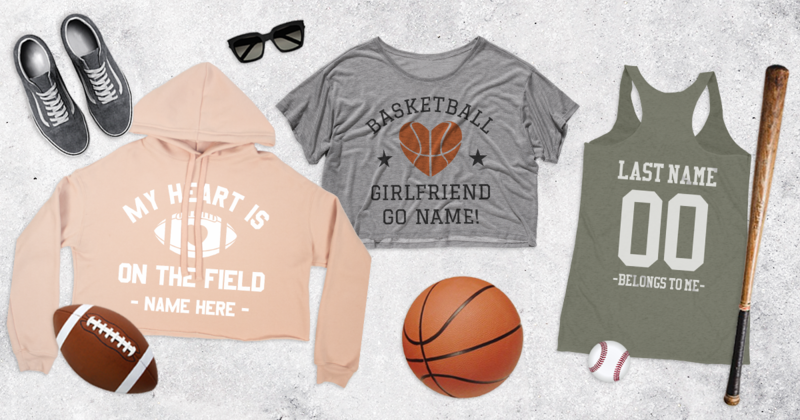 Whether you’re a proud dad on the sideline or the little sister in the stands – we’ve got gear for the whole family! Billboard and Game Day Jerseys are perfect for girlfriends, moms, and softball players who are looking for a unique way to show their team love. These designs are meant to be worn baggy with slightly arched text across the shoulders. This way when you place your hands on your hips your design is prominently displayed. Custom letterman jackets have always been a hit among sports as a way to showcase a player’s athletic achievements. In the last few years this trend has taken a whole new meaning with fashionistas. From sports moms to A-list celebrities, custom letterman jackets are at the top of the list when it comes to custom apparel. Customized Girl offers a huge selection of custom bags that include totes, duffel and even the oh so trendy nfinity backpacks! Customize any product or design in our gallery to include school colors, year, and position. What is also an amazing feature of our custom bags is our no minimums and group discount policy. Buy one bag or design matching sets for the entire team! Don’t see a sport category that fits your athlete? Easily take your favorite design from any category and swap out the art. Our massive library is full of every sport imaginable but if you still need assistance please do not hesitate to contact our amazing customer service team. They would be more than happy to help you with your design from beginning to end! Share your custom sports apparel with us via Facebook, Twitter, or Instagram @CustomizedGirl! Basketball, baseball, or football – being a high school athlete is hard work and a huge time commitment. The balance of school, practice, and games can be tough and sometimes a little extra encouragement off the field can make all the difference. Que the girlfriend! Sports girlfriends are an athlete’s biggest fan. They are at every game and are always cheering the loudest from the stands. There is nothing more important than your favorite player doing his best and you are willing to stand in rain and snow to show your dedication. Give your player that extra boost he needs on the field, court, or ice with custom girlfriend shirts! Our gallery is full of the best girlfriend shirts that are ready for you to customize. Personalize each design with names, numbers and even the players position. You also have the ability to swap any design onto any product and color of your choice. We have the biggest and trendiest selection of custom women’s styles on the internet. Plus tons of great accessories like socks, hats, and more. Choose the style that fits you best, select your team’s colors, pick your favorite sports art in our design center, and create a shirt that is totally unique. We know your love for your player sets you apart from most girls and you should have a style that reflects just that. Make sure to show us your support for man just like these ladies did via Facebook, Twitter, or Instagram @CustomizedGirl! 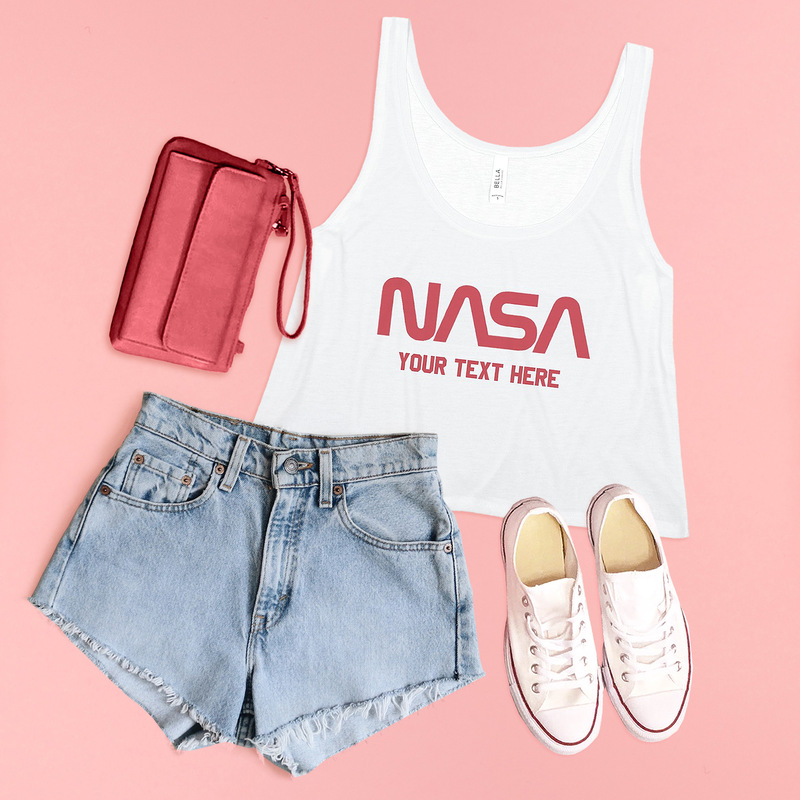 There is no better way to celebrate the arrival of spring than with custom tank tops and crop tops! 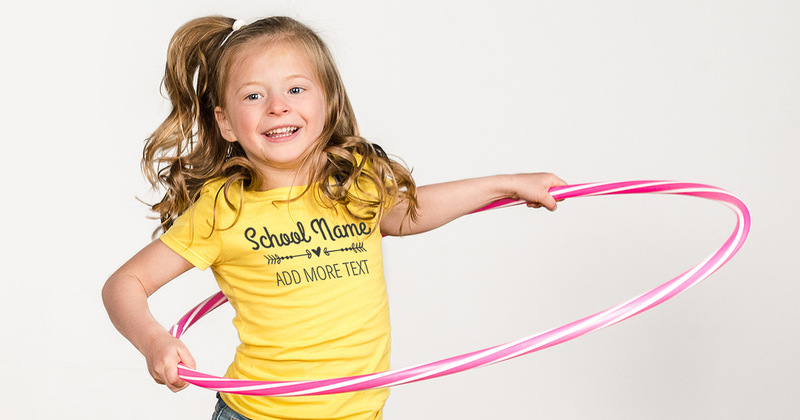 Customized Girl offers the largest selection of custom tank tops and crop tops online with well-known brands that include Bella, American Apparel, Gildan, and Alternative Apparel. 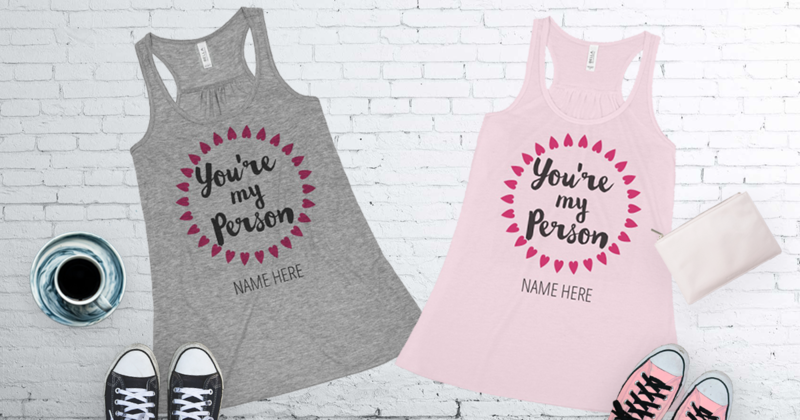 With all of the designs available on Customized Girl, you can find the perfect images to create your one-of-a-kind tank or crop top. Can’t find something you like? You can always upload your own photos, graphics or images! 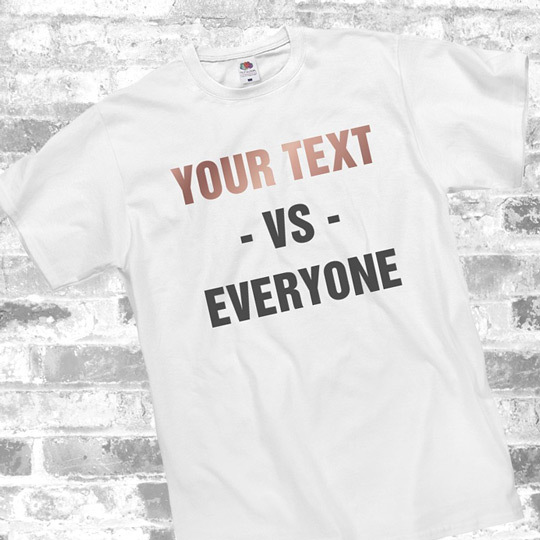 Add your own text to the front or back and customize your top to suit your taste. Our easy to use design center let’s users become their own fashion designer and be the ultimate trendsetter. 1. Choose your favorite style of tank top or crop top or if you are starting with a design you can choose the “swap out item” tab in the top right corner of the design center and choose your preferred style. Don’t worry fellas, we even have a great selection of men’s tank tops. 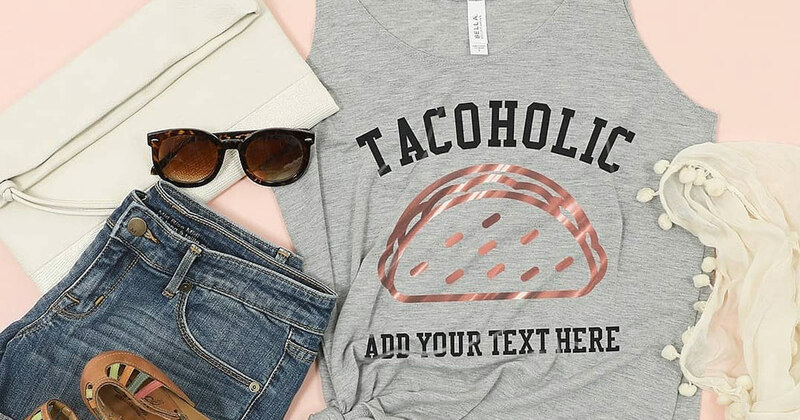 Our huge collection of custom tank tops and crops isn’t even the best part! You can order one or hundreds tops just for you or for a whole team. Customized Girl offers a no minimum policy and competitive group discounts as well as free shipping on US orders of $70 or more. Don’t listen to us, hear it straight from our happy customers! Share your spring fashion with us via Facebook, Twitter, or Instagram @CustomizedGirl! Customized Girl offers a variety of custom jackets in Junior Fit, Unisex, and Ladies sizes making sure that you get the correct fit and a rainbow of colors that will surely match anything and everything. We make it a priority to continuously expand our options in outerwear to give our customers as many options as possible. Cheering on your boyfriend at his match? Or are you a fashionista on the rise and would rather create what you want rather than trying to find it? Our one-of-a-kind design center allows trendsetters to voice to their ideals, opinions, jokes, and pretty much anything they want. 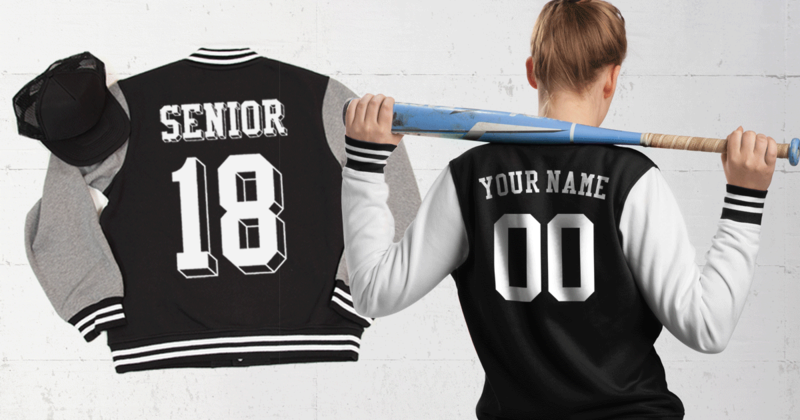 There are so many opportunities with custom letterman jackets that they are easily the perfect solution for anything and everyone. All of our printing material is applied to each item at a very high temperature and pressure for a long lasting, vibrant look. Design a letterman jacket for a one time event or to wear season after season. There are no added up-front costs or minimums. Our printing process is the same whether we are printing 1 design or 1,000. Need help designing? Our amazing customer service team would be more than happy to assist you in choosing the right product all the way to placing your order. Easily contact a customer service representative by chat, phone, or email today!